The CEO of the great Saxon brand presents the five novelties for 2019. 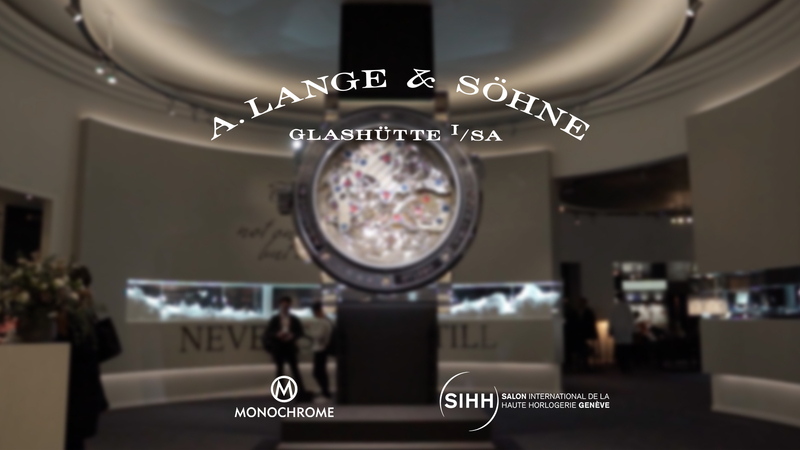 In our latest video coverage of SIHH 2019, our editor-in-chief Frank Geelen sits down with Wilhelm Schmid, CEO of A. Lange & Söhne. Find out which of the five watches unveiled during the SIHH 2019 will go down as collector’s pieces, and why 2019 is such a special year for some models of the Saxon brand. 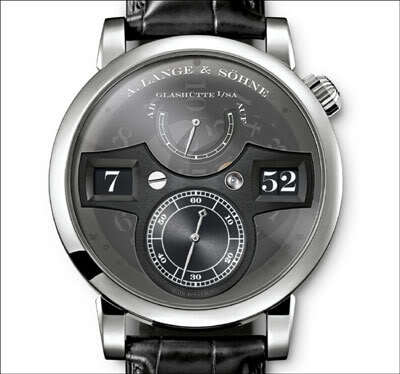 The star of the SIHH 2019 is the Lange 1 “25th Anniversary”, the brand’s undisputed icon for the last quarter century and, according to Schmid, “the backbone of our business”. The Lange I Anniversary watch goes back to its roots and is presented in a 38.5mm white gold with blue printed markings on the different levels and surface treatments of the dial. The watch also pays homage to the two men who put ALS back on the map, and the names of Walter Lange and Günter Blümlein are engraved on the white gold hinged hunter caseback. The movement also features special anniversary treats, and with its limitation of just 250 timepieces, this is clearly targeted at collectors. The Datograph Perpetual Tourbillon is one of the most complicated timepieces at ALS packing a flyback chronograph, a perpetual calendar with moon phases, an outside date and a one-minute tourbillon on the movement side in its 41.5mm case. The novelty for 2019 is the impressive solid pink gold dial. The unique salmon-hue of the pure pink gold and its matte, grained surface are, according to Schmid “almost impossible to replicate in a photograph”. Given the difficulty of working with pure gold, it will take the brand 3 years to produce 100 watches. Yup, that’s a collector’s piece all right. The Zeitwerk celebrates its first decade and has been fitted with a new date complication to become the Zeitwerk Date. With its large mechanical digital displays in the centre of the dial for the jumping hours and minutes, along with the power reserve indicator and small seconds, there was no room on the dial for a date window. The date appears in the form of two peripheral rings, a crystal one on top with printed numerals and a red one underneath. At midnight the lower red ring performs a precise jump revealing the date. Presented in a 44.2mm case in white gold, the Zeitwerk Date is equipped with a newly designed manual-winding movement and is not a limited edition. The Langematik Perpetual has also been given a special treat in 2019 and is presented in a 38.5mm honey gold case, Lange’s proprietary alloy that is harder than other gold alloys and used sparingly. Only seven limited edition watches have been the recipients of honey gold to date, the Langematik Perpetual marking the eighth. A limited edition of 100 watches, this is another collector’s piece. 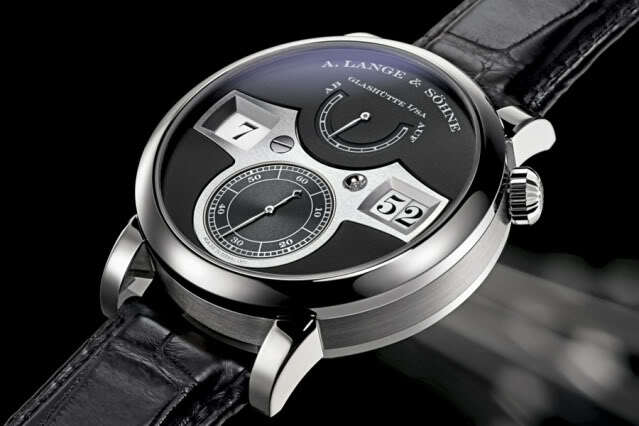 The Richard Lange Jumping Seconds is revisited in 2019 in a white gold case with a black dial. Lange’s first new-era model with jumping seconds that was introduced in 2016, the 39.9mm white gold watch features a regulator dial with a large seconds dial at the top intersected by two smaller circles for the hours and minutes. The symmetry and sobriety of the dial combined with black, white and red touches evoke Bauhaus design concepts. We invite you to watch the video at the top of this article and stay tuned on MONOCHROME for all the latest news, direct from the last day of the SIHH 2019. 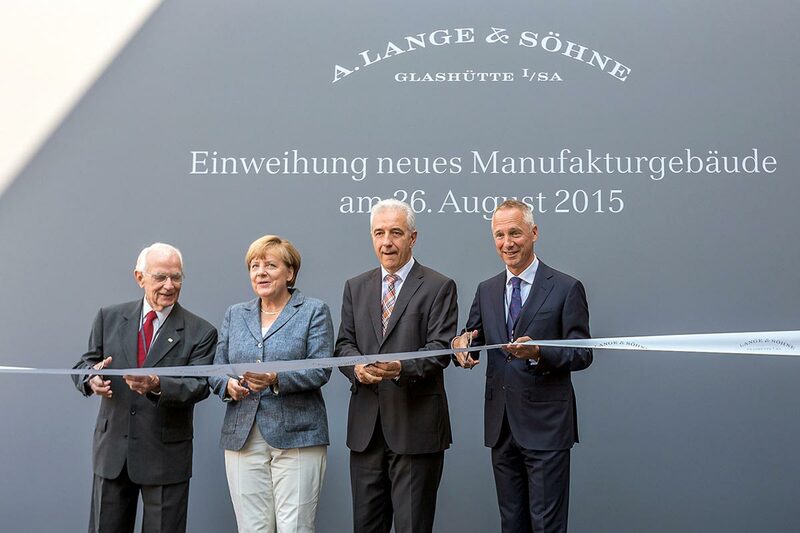 For more information, please visit www.alange-soehne.com. I take it that the current basic Zeitwerk will be phased out, production stopped soon. Amazing watches they showed this year, but I was disappointed that they didn’t choose to release the coloured guilloche dial Little Lange 1s in a larger size, particularly the brown one.